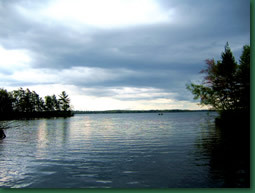 Booking an outing to fish the pristine waters of the Flambeau Chain is a sure way to have a great time chasing big fish and enjoying the beauty of the Northwoods. Minimum 4 Hours on the water. Minimum 8 Hours on the water. Live Bait is not included in the price. Rates listed for 1-2 people. Fully loaded Ranger Fishermen boat. Bringing your own rods, reels, tackle optional. Advance notice required if you need this equipment provided, no extra charge. If you have any questions about my rates or want to discuss special arrangements, please call me @ 715-367-4938, e-mail me or visit my Contact page.